I want retire like Peter Drucker. He is one of the most accomplished thought-leaders of the 21st century, but it isn’t his career that I find so inspiring. It is the longevity of his contributions. Born in 1909 Drucker would have been eligible for traditional “retirement” by, say, 1975 (granted, he immigrated to the US and became a naturalized citizen in 1943, so I’m not certain how this would have affected the timing of his eligibility). Now go to his wikipedia entry and scroll towards the bottom where you will find the Books By Drucker section. Look at all of his publications after 1975. Just scroll and look for every date past 1975, and you will start to get a picture of what we are all capable of doing after the traditional age of “retirement”. Consider that Drucker was still teaching in his early 90’s! Take a look at this diagram that I found; it describes exactly how I looked at life up till a few years ago. Allegedly, Learning happens up to some point in our lives, and then we enter a very long period of Earning. We do these Earning activities up to some time when we start Living, presumably during retirement. However, the reality depicted in this image probably died sometime in the late 80’s to early 90’s. If retirement is your long-term escape path. Escape now. Jump. No matter how scary. There is more to life than a good paying job. The key to retire now is finding work you love. Find something that you can throw yourself into for the next 20 years (even if you are in your 70’s). I have no plans to retire — ever. If you have paid the price to find work you really enjoy, then why would you want to escape from it? As long as you are physically and mentally able why wouldn’t you continue doing great work? It has taken a long time for me to find my path, but I love it. I have traded retire later for retire now. While I was a financial advisor I came face-to-face with many retirees who really enjoyed their first 18 to 24 months (this article claims only 10 months) of doing all the things they wanted to do — visit the grandkids, golf, hike, what ever — then…invariably the restlessness set in. “I realized that I still have plenty to give, plenty of energy, and a lifetime of experience. I couldn’t just sit at home any more.” This and phrases just like it were so common from new retirees. Many became involved in volunteering. I disagree with the diagram I showed you earlier. My own life isn’t one straight line that moves from Learning to Earning to Living. I do all 3 at the same time. I love my work. Contribute well into your 90’s. 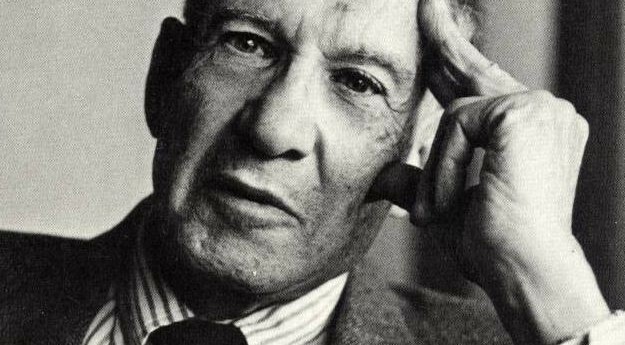 Be like Peter Drucker.